What do you typically put in a guest bedroom? If we're honest, guest bedrooms often are a collection of discarded furniture, like your children's bedroom furniture after they leave home. That was true in our Victorian house, when we had five bedrooms. When we down sized to a condo, we gave away most of the bedroom furniture. Oops, we moved again and had to buy new bedroom furniture. We didn't have much time so this article is about how to move furniture (after our guests left) to maximize space. We'll only use this room when we have guests (here's why we moved), so we bought two twin beds from IKEA. While I was traveling, my husband set the beds up and decided to get a matching nightstand which works. Once we're comfortable with the new layout, I'll start decorating and probably replace (or paint) the nightstand hardware. One reason why the beds probably ended up where they started, was the long row of boxes piled up along one wall of the bedroom. There wasn't enough time to unpack or move the boxes before our first guests arrived about 6 weeks after we moved in. Fortunately we had more time before the kids came for the holidays, so about half the boxes got unpacked and the rest ended up in the closet. Yes, we've all got too much stuff! 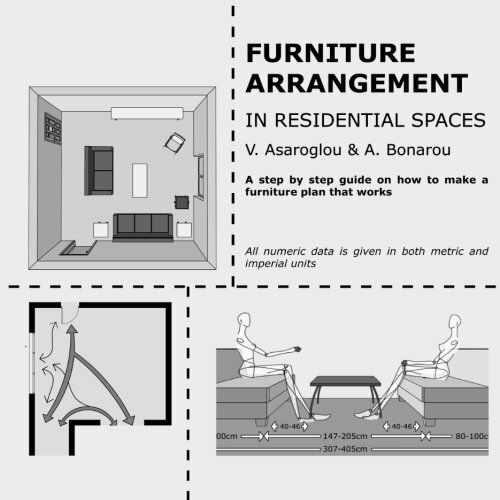 Try your ideas out on paper before physically moving your furniture. You'll save time and your back will thank you. The interesting thing about this bedroom — it's not really that small for a secondary bedroom. The room is 11 by 12 ft, which is a lot bigger than the minimum 9 by 9 ft floor plan needed for two twin beds. As a guest bedroom, it doesn't have all the requirements of a child's bedroom. There's no need for a desk and we won't be putting a dresser in the room as we've got lots of shelves in the closet for visitors to use … once we finish unpacking. So it was time to find a different floor plan for this room. 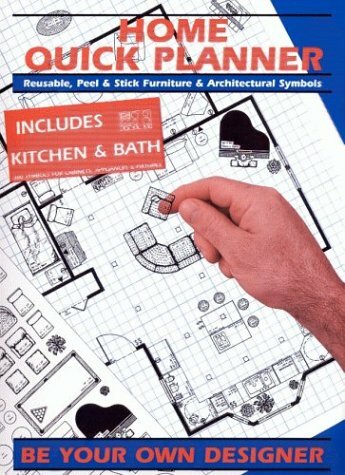 Just like blueprints for a house, you can draw up plans for each room to help you decide where you want your furniture, which you want to do before you move furniture. And you don't have to be an artist because you'll toss your drawings after the furniture is moved. While I'd probably draw my ideas out using PowerPoint, here are my hand drawings to encourage you to grab some paper and an old fashion pencil (they still make them). Hint: Room layouts are much easier with grid paper, so visit PrintFreeGraphPaper.com to print your own (I used 1/4″ cartesian graph paper). 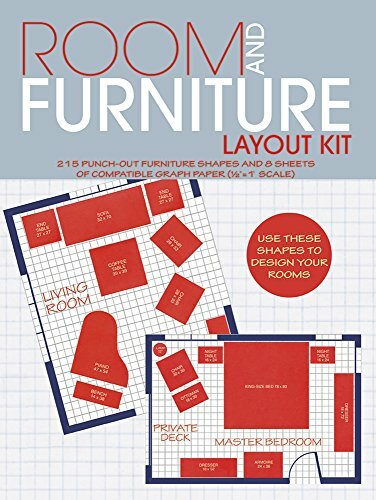 If you want a little more help than some graph paper, here are some books I found on Amazon that can help you plan furniture arrangements for every room in your house. So what ideas did I consider for this guest bedroom? Remember, it's your house so you can arrange the furniture any way you want. Place the beds at right angles, with a corner table between them. This is more challenging because you’ve got to hunt for a table that’s the right size, or build one. Move both beds to walls adjacent to each other, but not touching. This is the design we ultimately picked and you can watch us move furniture in the video below. Less realistic, put both beds together in the center of the room. It sounds funny but if you had two children sharing this bedroom, this might be a great solution with a wall divider between the beds. We had fun making this video, and you’ll see how easy it was to move the furniture. You’ll also notice that when you’re rearranging furniture in one room, it sometimes makes sense to add or swap a piece of furniture from another room. Once we separated the two beds, we needed another nightstand so I grabbed one of my funky drawer towers and brought it in … room done! Well, the bedroom isn't quite done. The furniture has where we want it, so we can now decorate the room. What do you think about a picture shelf across the back wall, to make it easy to change things as we settle into our new home? Laugh out loud because we actually had to undo the furniture arranging twice. The first time so we could capture if on video, and oops … I forgot to take before photos before we did the video. You can tell I'm still learning how to weave all the pieces of the puzzle together, to give you great homeowner tips. Which room do you want more space in?